A man with shingles of the face. Shingles is caused by chickenpox virus called varicella zoster virus. The first indications that chickenpox and shingles were caused by the same virus were noticed at the beginning of the 20th century. The incidence of shingles is mainly in adults. There are approximately four cases per 1000 population per year and a lifetime risk of 20 to 30 per cent. Chickenpox generally occurs in children. Once the child gets over the illness the virus does not disappear from the body. Virus can settle down in one of the nerve cell bodies and lay dormant for many years. When your resistance is low and this can be due to any reason, the virus may break out of the nerve cell and travel down the nerve causing viral infection of the skin in the area supplied by that nerve. This can happen decades after the chickenpox infection. Exactly how the virus remains latent in the body, and subsequently re-activates is not understood. Shingles starts with burning pain, itching and tingling followed by painful rash and blisters in the area supplied by the affected nerve. The pain and rash most commonly occurs on the torso, but can appear on the face, eyes or other parts of the body. If the nerve to the eye is involved then a person may suffer loss of vision. It usually affects one nerve on one side of the body. The rash and blisters heal within two to four weeks but some sufferers experience residual nerve pain for months or years. This condition is known as postherpetic neuralgia. 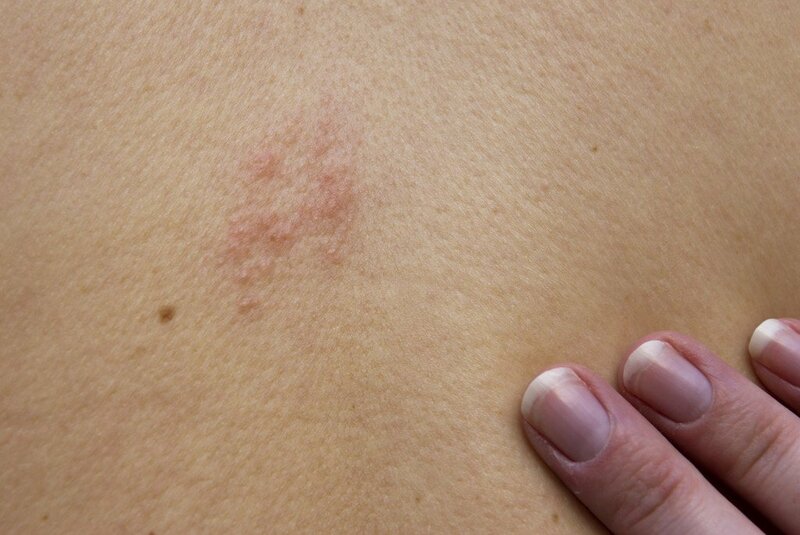 About 20 per cent of patients with shingles suffer from this. If the diagnosis of shingles is made early then it helps to start antiviral medications within 72 hours of the appearance of the rash. This reduces the severity and duration of the illness. The antiviral medications should be used for seven to ten days. The blisters crust over within seven to ten days, and usually the crusts fall off and the skin heals. But sometimes after severe blistering, scarring and discolored skin remains. Until the rash has developed crusts, a person is extremely contagious. During the blister phase, direct contact with the rash can spread the virus to a person who has no immunity to the virus. This newly infected individual may then develop chickenpox, but will not immediately develop shingles. Since 2008-2009, a vaccine for shingles is available for adults age 60 and over. The vaccine is used to boost the waning immunity to the virus that occurs with aging. The effectiveness of the vaccine is about 60 per cent. It is kind of a “quality of life” vaccine. It does not prevent death from shingles (an extremely rare event) but does help with postherpetic neuralgia (pain). Booster doses of the vaccine are not recommended for healthy individuals. The efficacy of protection has not been assessed beyond four years and it is not known whether booster doses of vaccine are beneficial. This recommendation may need to be revisited as further information becomes available.